Following the approval of all relevant authorities, BASF and Solenis have completed the previously announced merger of BASF’s wet-end Paper and Water Chemicals business with Solenis. With pro forma sales of approximately U.S. $3 billion, the combined company will operate under the Solenis brand and is positioned to provide expanded chemical offerings and cost-effective solutions for customers in pulp, paper, oil and gas, chemical processing, mining, biorefining, power, municipal and other industrial markets. The merger includes the Paper and Water assets of BASF’s Performance Chemicals unit, including production sites in Bradford and Grimsby, UK; Suffolk, Virginia, USA; Altamira, Mexico; Ankleshwar, India; and Kwinana, Australia and related assets including intellectual property. BASF’s paper coating chemical business is not part of the transaction. “Combining our strong heritages creates the leading customer-focused, global solutions provider for the paper and water industries. Customers from these industries will benefit from our joint strengths, resulting in an unparalleled and complementary range of products and services, state-of-the-art innovations and know-how,” said John Panichella, president and CEO, Solenis. “Joining forces with Solenis is the right step for BASF’s Paper and Water Chemicals business to maintain sustainable growth. Together, we will provide the broadest scope of products and services to meet the speciality chemical needs of the global paper and water industry,” added Anup Kothari, president of BASF’s Performance Chemicals division. “Bringing together these two highly successful and complementary businesses creates an even stronger global enterprise with enhanced prospects for long-term growth and value creation,” said David Scheible, Chairman of Solenis and Operating Advisor to CD&R. To learn more, go to www.Solenis.com/MoreReadyThanEver. Solenis is a leading global producer of speciality chemicals for water-intensive industries, including the pulp, paper, oil and gas, chemical processing, mining, biorefining, power and municipal markets. 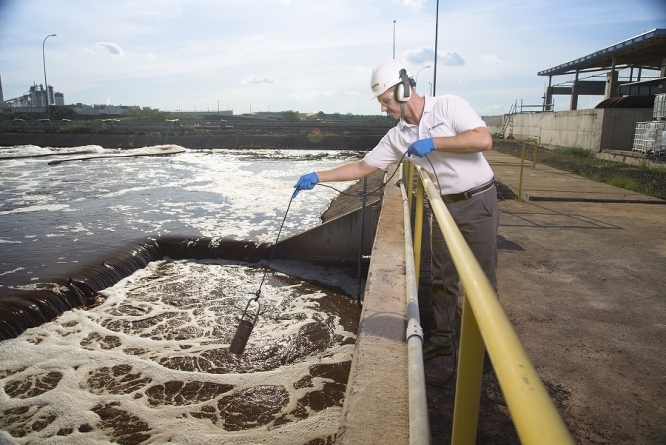 As of the close, the company’s product portfolio includes a broad array of process, functional and water treatment chemistries as well as state-of-the-art monitoring and control systems. These technologies are used by customers to improve operational efficiencies, enhance product quality, protect plant assets and minimize environmental impact. Headquartered in Wilmington, Delaware, the company has 41 manufacturing facilities strategically located around the globe and employs a team of approximately 5,200 professionals in 120 countries across five continents. For additional information about Solenis, please visit www.solenis.com. At BASF, we create chemistry for a sustainable future. We combine economic success with environmental protection and social responsibility. The more than 115,000 employees in the BASF Group work on contributing to the success of our customers in nearly all sectors and almost every country in the world. Our portfolio is organised into four segments: Chemicals, Performance Products, Functional Materials & Solutions and Agricultural Solutions. BASF generated sales of more than €60 billion in 2017. BASF shares are traded on the stock exchanges in Frankfurt (BAS), London (BFA) and Zurich (BAS). Further information available at www.basf.com.